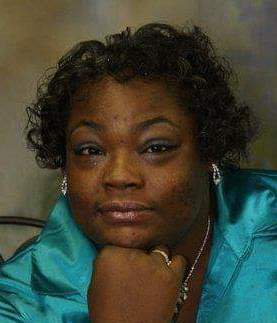 Obituary for Deitrich Lucinda (Good) Wilson | Genesis Funeral Services & Chapel Inc.
Gaffney - Deitrich Lucinda Good Wilson, age 48, of 705 Anthony Street Gaffney peacefully transitioned this life on Wednesday, December, 5, 2018 at Spartanburg Hospital for Restorative Care. She was the daughter of the late Ted Good and Marvis Louise Holmes Foster. She leaves to cherish fond memories; two daughters Deirdre Wilson (Jay) and Shayla Wilson (Bruce) both of Gaffney, SC., One brother Richard Good (Carolyn) of Gaffney, SC. Three sisters; Nicole Good and Jonica Camp of the home, Shanda Mayes of Gaffney, SC. One niece Jarmesha Good of the home. Two nephews Richard Good Jr (Dorchae) of Gaffney, SC., Denzelle Good (Dasie) of Oakland Calf. Funeral service will be 2:00 pm Friday, December 14,2018 at The Youngs Grove Baptist Church. The body will lie-in-state at 12:00 pm. Interment will be in the church cemetery.